Prime Minister Justin Trudeau undertook a major cabinet shuffle today, with an eye toward the political battles he will have to fight with the provincial and territorial government over the next year, and the big battle of the 2019 federal election looming. In the most significant change, Justin Trudeau tapped his longtime close friend and unofficial Deputy Prime Minister Dominic LeBlanc as a new Minister of Intergovernmental Affairs, a position that Trudeau had previously personally held himself. Leblanc, a long-serving MP with a close personal relationship to Trudeau will certainly be seen as a competent “hand of the Prime Minister” and a sign that the federal government will be taking a pro-active approach to federal-provincial relations, particularly with choppy waters on the horizon on issues of shared jurisdiction such as marijuana, natural resources, and carbon taxes. With some big (and conservative) personalities either in or likely to take power in Ontario (Doug Ford), Alberta (Jason Kenney) and Quebec (François Legault), Trudeau wants someone with enough experience (and not a little bit of personality himself) to represent the federal Liberal line to the sub-national governments. Leblanc’s status in this role is re-enforced by his additional titles of Intergovernmental Affairs, Northern Affairs, Internal Trade, as well as Chair of Cabinet. Of these additional changes, the addition of Northern Affairs, previously held by Carolyn Bennett in joint capacity in her role as Minister of Crown-Indigenous Relations is notable, both for giving Leblanc quite wide ranging powers in dealing with the territories as well as the provinces, but also perhaps signing that Bennett’s ministerial responsibilities will be more focused. Other cabinet changes reflecting political challenges Trudeau will be looking to tackle head-on include Alberta’s Amarjeet Sohi to Natural Resources, hoping to send a signal to the province that the federal government supports pipelines and natural resource extraction projects. To balance this, a new arrival to cabinet is North Vancouver MP Jonathan Wilkinson as Minister of Minister of Fisheries, Oceans and the Canadian Coast Guard. Wilkinson was formerly Parliamentary Secretary to the Minister of the Environment and represents Lower Mainland BC, an area deeply ambivalent (to say the least) about oil projects. 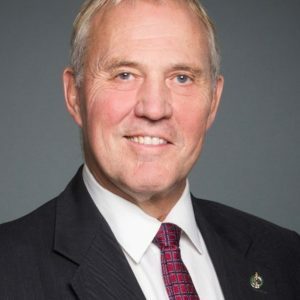 With the opposition, particularly the Conservatives campaigning hard on border security (although now facing some backlash for potentially overreaching), Trudeau turns to former Toronto top cop Bill Blair as new Minister of Border Security and Organized Crime Reduction, with responsibility for irregular migration. Blair has previously played important roles in the government in a Parliamentary Secretary capacity with responsibilities related to Canada-US relations and marijuana legalization, the appointment of a former Chief of Police of Canada’s largest city signal’s Trudeau’s intentions to not simply sit back and let the Conservatives own the file. Blair will also be retaining his responsibilities on the marijuana file, indicating that (likely contrary to the wish of some Liberal activists) that the government will continue to look at marijuana and other drug legalization from a law & order perspective rather than a public health angle. Blair will also have to work with CBSA and their American counterparts to find a solution to the issue of Canadians potentially being denied entry to the United States if asked if they have smoked marijuana. Other changes can be seen as designed to promote well-performing players as well as raising their political profiles and maintaining gender, cultural, and regional balance. 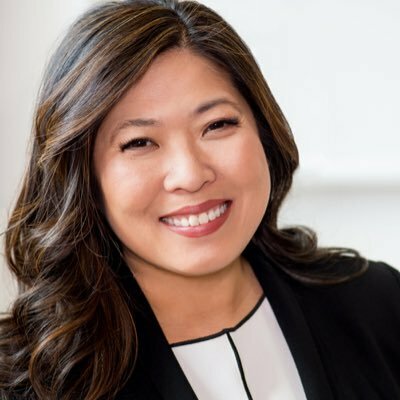 Former PMO staffer and Markham MP Mary Ng joins cabinet as Minister of Small Business and Export Promotion, giving the Small Business and fully time minister again, and cabinet representation from a Chinese-Canadian population the Conservative Party has been very active in courting. 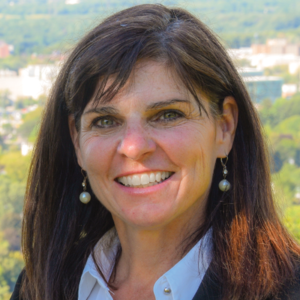 Hamilton MP Filomena Tassi, becomes Minister for Seniors, a portfolio the government previously had not filled. These two new postings, as well as Bill Blair’s give Trudeau three new Ministers from the Greater Toronto and Hamilton Area, a huge electoral prize where the provincial Liberals just suffered major loses to both the Conservatives and the NDP. Quebec will be a key battleground where the Liberals will hope to make gains, and Trudeau elevated former whip and Montreal MP Pablo Rodriguez to Minister of Canadian Heritage and Multiculturalism, taking the spot of Montreal’s Mélanie Joly, who had received criticism in her home province over handling of the taxation of digital streaming services such as Netflix. 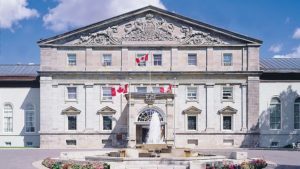 Joly receives the shuffle’s only real demotion, going to the lower-profile portfolios of Tourism, Official Languages and La Francophonie. Arguably Trudeau’s top performer form Quebec, Shawinigan MP François-Philippe Champagne will be staying closer to home (and to Quebec voters) going from International Trade to Infrastructure and Communities where he will get to hand out funding a-plenty in Quebec and beyond for key projects. Rounding out the changes, Winnipeg MP Jim Carr is moving from Natural Resources to International Trade Diversification. Interestingly, the specific name of his portfolio seems to be a signal as NAFTA negotiations are still are on-going and relationships with the Trump White House seem to be deteriorating. Lower Mainland BC MP Carla Qualtrough, remains minister of Public Services and Procurement with the added portfolio of Accessibility. A full list of changes and brief biographies of the new Ministers can be found below. 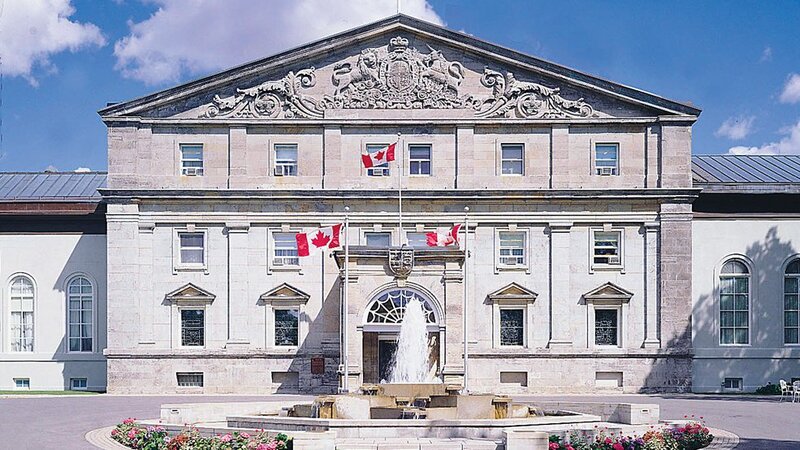 Capital Hill Group will be distributing updated mandate letters when published, and watch out for a shuffle of Parliamentary Secretaries, Opposition Critics, and high-level public servants, all of which CHG will provide commentary on. New Role: Minister of Heritage and Multiculturalism. Biography: Pablo Rodriguez worked for nearly ten years in the field of international development and then became Vice-President and Associate of a public affairs firm. He was the MP for Honoré-Mercier from 2004 to 2011 and was relected again in 2015. During those years, he served as the Québec Caucus Chair. New Role: Minister of Fisheries, Oceans and the Canadian Coast Guard. 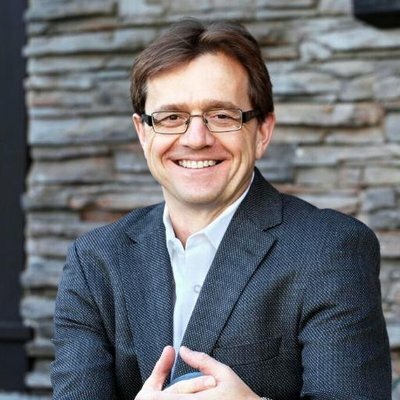 The Honourable Jonathan Wilkinson has previously served as CEO of QuestAir Technologies and BioteQ Environmental Technologies, as well as Senior Vice-President of Business Development for Nexterra. A Rhodes Scholar, he holds Masters Degrees from Oxford University and McGill University. Early in his career, he worked as a constitutional negotiator and a federal-provincial relations specialist. The Honourable Bill Blair served for 39 years with the Toronto Police Force – the last decade as its Chief of Police from 2005 to 2015. He served as President of both the Ontario and Canadian Associations of Chiefs of Police – receiving the distinction of Commander of the Order of Merit of the Police Forces. Biography: The Honourable Filomena Tassi chose to enter into a life of public service after six years as a corporate lawyer. Filomena is an active volunteer in her community and has previously worked with St. Joseph’s Hospital, Ancaster Food Drive, Inasmuch Shelter for Women, Good Shepherd, Neighbour to Neighbour and Ronald McDonald House. While serving as a chaplain she co-founded D.R.E.A.M.S (Dominican Republic Education and Medical Support), an organization that has since facilitated mission trips for thousands of youth. Biography: Before entering politics, The Honourable Mary Ng worked with the Ontario Public Service, Ryerson University, and the Ontario Minister of Education led her to be recognized as one of Canada’s top-performing public sector leaders, before being recruited to serve as Director of Appointments for Prime Minister Justin Trudeau. 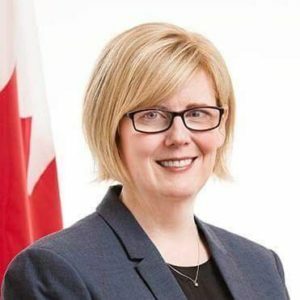 Biography: The Honourable Carla Qualtrough has practised human rights law at the federal and provincial levels. She chaired the Minister’s Council on Employment and Accessibility in British Columbia, and was an adjudicator with the Workers’ Compensation Appeals Tribunal.. As an athlete, she won three Paralympic and four World Championship medals. 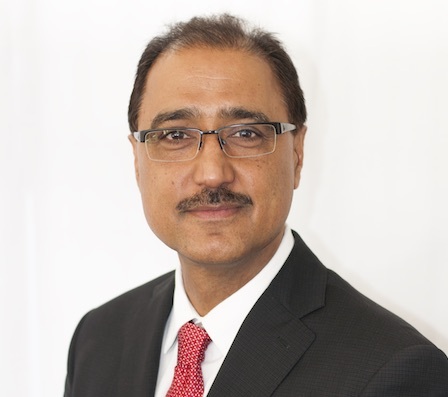 Biography: Elected three times as an Edmonton City Councillor, Amarjeet Sohi became the Member of Parliament for Edmonton Mill Woods in 2015.. As a former member of the Edmonton Police Commission, he took a leadership role in creating the Police Chief’s Indo-Canadian Liaison Committee. 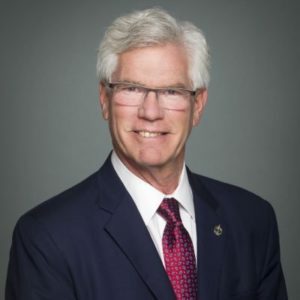 The Honourable James Gordon Carr entered public life in 1988, when he was elected to represent Fort Rouge in the Legislative Assembly of Manitoba. He was also the deputy leader of his party. He later went on to become the founding CEO of the Business Council of Manitoba. 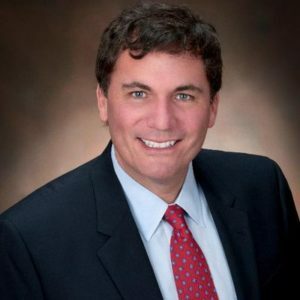 Biography: The Honourable Dominic LeBlanc was first elected to the House of Commons in November 2000 and re-elected in 2004, 2006, 2008, 2011 and 2015. He was appointed as Minister of Fisheries, Oceans and the Canadian Coast Guard in May 2016. He also served as Leader of the Government in the House of Commons from November 2015 to August 2016. 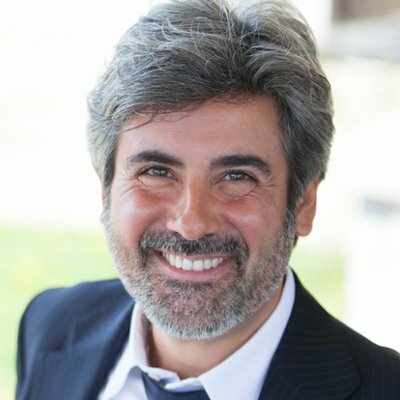 Prior to his election to the House of Commons, Mr. LeBlanc was a barrister and solicitor with Clark Drummie in Shediac and Moncton, New Brunswick. From 1993 to 1996, Mr. LeBlanc was special advisor to the Prime Minister of Canada, the Right Honourable Jean Chrétien. Biography: Before entering politics, The Honourable François-Philippe Champagne was Vice-President and Senior Counsel of ABB Group, a leader in cutting-edge technology that operates in more than 100 countries. Later he served as Strategic Development Director, acting General Counsel, and Chief Ethics Officer and Member of the Group Management Committee of AMEC, a world leader in the energy sector. 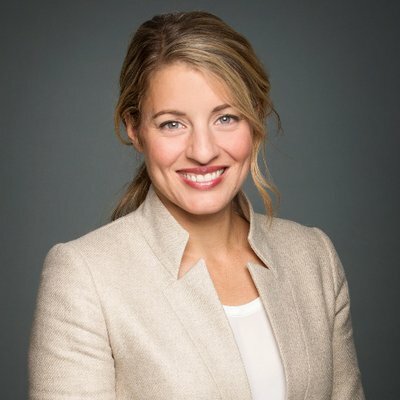 Biography: The Honourable Mélanie Joly worked at two major law firms in Montréal before making the leap into communications, as a managing partner of the Montréal office of the international communications firm Cohn & Wolfe. Founder of Le Vrai Changement pour Montréal party, Mélanie ran for mayor of Montréal in 2013.